The answer to the Stone Puzzle “What am I?” Quiz is “lamp”. 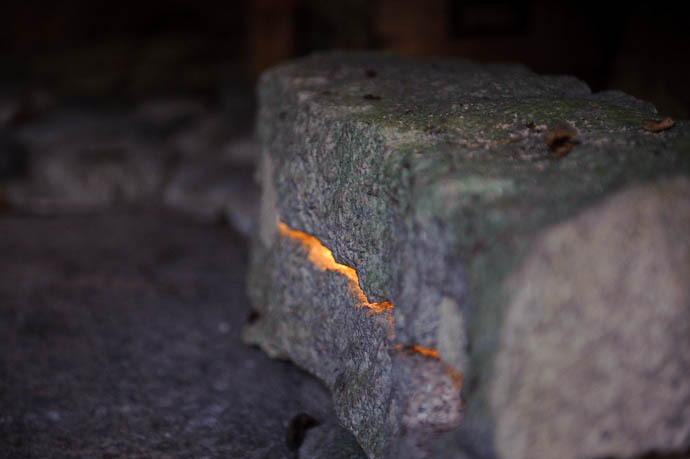 It's made of simulated faux stone (that is, real carved stone) with a lamp and sensor inside. 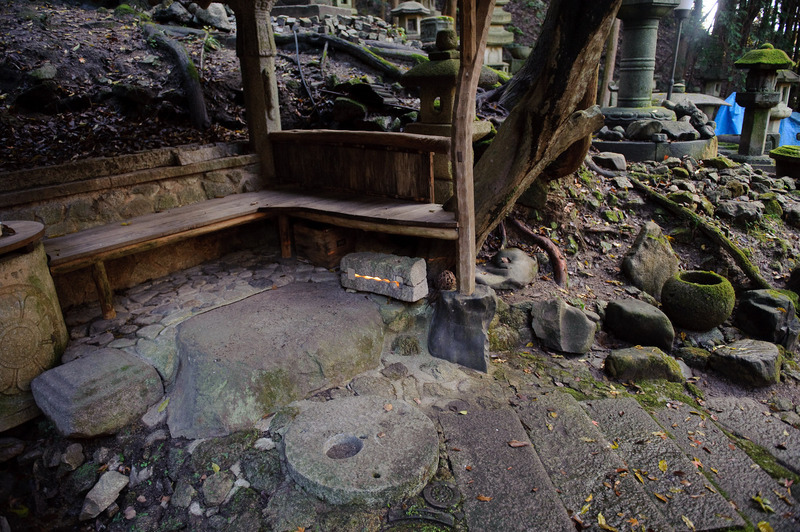 It's in the garden behind the Nishimura Stone-Carving Workshop in north-east Kyoto, Japan, and was visible in the “Gazebo” photo on that post. 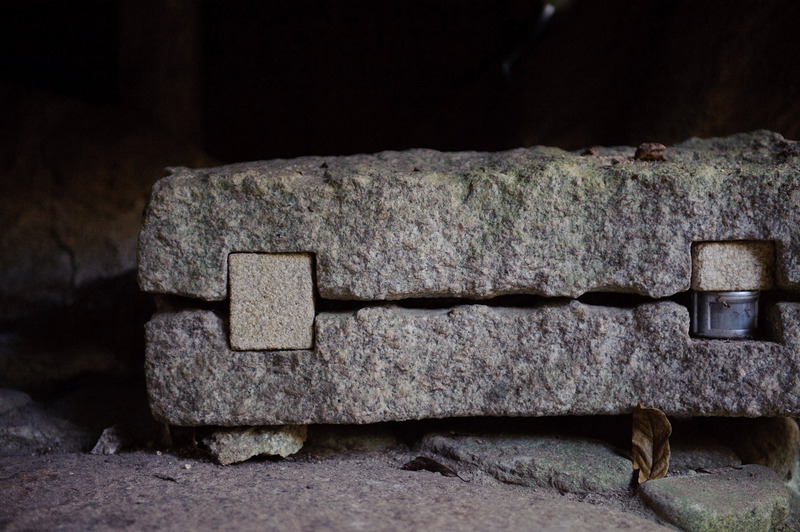 Dear Jeffrey, I have just discovered your wonderful blog and am totally captivated by the stonecarver’s garden. Here in south west London (not far from Wimbledon) I was hunting for snow pictures of Kyoto gardens and temples on google (I’ve got one of your Heian Shrine as desktop background) and here I am with your stone carvers. Did your Mum get to the end of this series of postings? The 2010 update on your stonecarvers is just as beguiling! Thank you for loading such a huge array of pics for those of us who are not going to make it to Kyoto to enjoy for real.